You need not waste your time in creating the simple associated products manually and then assigning them to the configurable product. 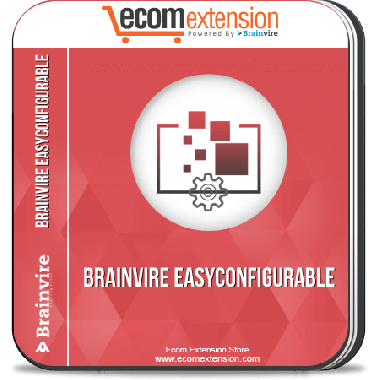 Easy Configurable Extension saves a lot of time as well as efforts. 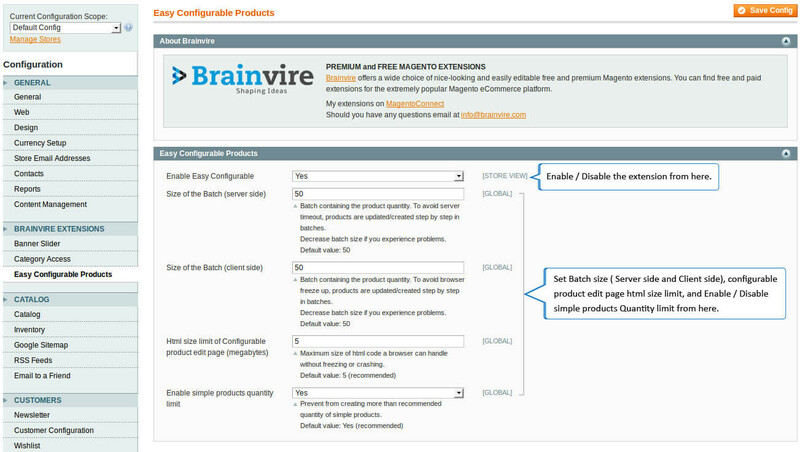 Easy Configurable Extension for Magento makes it easier for admin to create and manage simple associated products. It creates simple associated products with the selected attributes and displays them in a table which makes it really easy for the admin to manage the products. In addition to that, it works for the configurable products as well irrespective of the number of attributes. For example: if you have got an online apparel store and you sell a wide range of shirts; so your product will be shirt and attributes will be brand, style, size, material and color, to name a few. You can simply select the checkbox from the table for the attributes that you want to select. Thus, it becomes really easy to manage the inventory using Configurable Product extension for Magento and it saves a lot of time too! 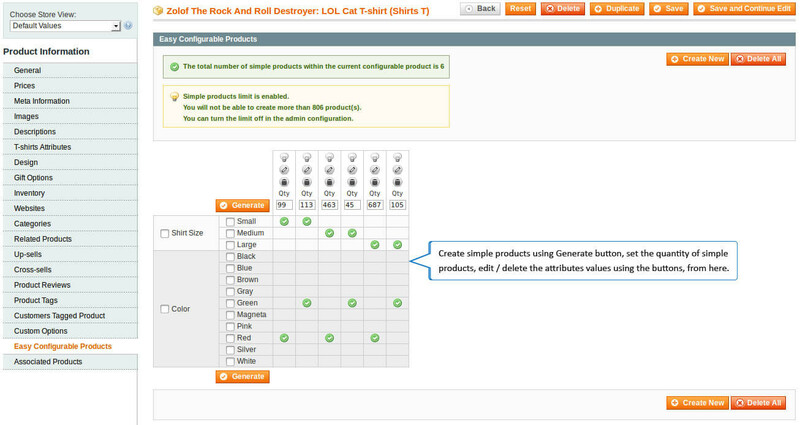 Creates simple associated products with the specified attributes. Creates configuration with name, quantity, weight, availability and status. 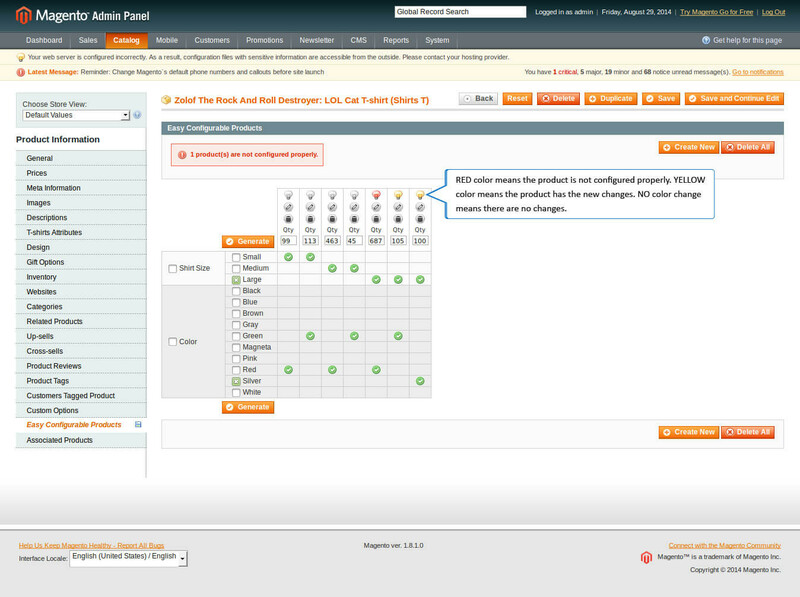 Makes a table for the simple associated attributes which will help to manage inventory. Each attribute can have infinite options. Works for all the configurable products. Meets all the Magento programming guidelines.